Electric carmaker Tesla Motors wants to acquire SolarCity to merge products of two clean energy companies owned by Elon Musk. While Musk says the deal is a “no-brainer,” the news caused Tesla shares to tumble. Tesla Motors Inc. (TSLA:NASDAQ) said on June 21 it offered to buy SolarCity Corp. (SCTY:NASDAQ) in an all-stock deal, which valued the solar energy company at as much as $2.8 billion. Elon Musk is the chairman and largest shareholder of both companies. The market has reacted to the announcement, and Tesla’s shares dropped nearly 10 percent and took more than $3 billion off its market value. Based in San Mateo, California, SolarCity designs and installs solar panels at residences across the United States. The company sells long-term contracts and is the market leader. We are skeptical of the benefits. “We believe the assumption of another $2.6 billion of debt to fold in a solar company with limited synergies and uncertain growth/cash prospects only reinforces our negative view of Tesla,” the report states. Tesla announced it may acquire all SolarCity shares at an exchange ratio of 0.122x to 0.131x shares of Tesla common stock. This represents a value of $26.50 to $28.50 per share, or a premium of approximately 21 percent to 30 percent over the closing price of SolarCity’s shares on June 21. Tesla launched Tesla Energy in March 2015 to provide renewable energy batteries to homeowners, business owners, and utilities. While Tesla hasn’t given numbers on synergies, it expects to create synergies in sales and costs by leveraging distribution channels and the manufacturing expertise of both companies. The proposed acquisition requires approval from the boards and shareholders. The proposed acquisition requires approval from the boards and shareholders. Some executives have conflicting positions in both companies. Lyndon Rive, CEO of SolarCity is a cousin of Elon Musk; and Musk, Rive, and Antonio Gracias (a director on both boards) said they will exempt themselves from voting. 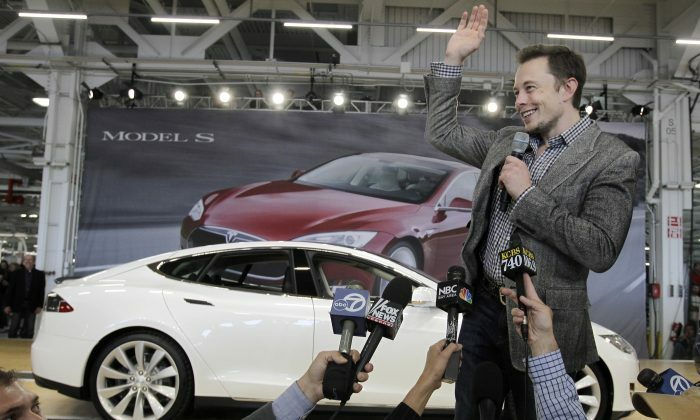 Tesla’s stock price surged nearly 480 percent since 2013, reaching a market value of $28 billion. The company had net losses in each quarter since its inception—except for the first quarter of 2013. Its accumulated deficit reached $2.6 billion in March 2016, and it is expected to become profitable by 2020. Investors of Tesla and SolarCity have been worried about massive cash burns in both companies. “Given limited access to capital for SolarCity, we believe the core rationale for this deal is for SolarCity to take advantage of Tesla’s relatively favorable access to and cost of capital. However, the combined entity is likely to magnify the losses and cash burn that both were seeing individually,” said Barclays’ analysts. Morgan Stanley and Oppenheimer downgraded the stock and reduced their target prices. We don’t believe SolarCity will help Tesla make better cars. Morgan Stanley analyst Adam Jones, formerly known as one of the most bullish analysts said the risks related to the proposed takeover outweigh any rationale. “We don’t believe SolarCity will help Tesla make better cars,” Jones stated in his report. Oppenheimer expects a robust shareholder fight over the acquisition, centered on corporate governance. “Investors are likely to view this transaction as a bailout for SolarCity and a distraction to Tesla’s production hurdles,” stated Oppenheimer’s analyst Colin Rusch in his report. Tesla’s proposed takeover comes amid significant struggles for SolarCity. The solar company’s stock price has been very volatile since its IPO in 2012, and it tumbled more than 50 percent since the beginning of this year. The company frequently falls short of its installation goals and lost $283 million during the first quarter of 2016. “Residential roof-top solar is a fragile business highly dependent on continuous external funding from the tax-equity and asset-backed securities markets—the potential to be part of a larger company could reduce this hurdle,” said Barclays.